Throughout the nation’s addiction treatment industry, the state of Florida is widely regarded as the “rehab capital of the world.” In fact, there are patients who travel from other parts of the world to get treatment at some of Florida’s top treatment facilities. If you are struggling with an addiction and are currently considering your treatment options, it might interest you to know why many people find rehab in Florida so appealing. Unfortunately, the overall need for professional treatment facilities is on the rise because far too many people are suffering from the illness of addiction. According to a 2014 study performed by the American Society for Addiction Medicine, 47,055 people died that year from an overdose of illicit drugs. After factoring in additional deaths caused by alcohol abuse, the overall toll from addictive behavior has become alarming and unacceptable. As you contemplate your options, you must surely realize that your life is at risk. Before it’s too late, you need to start looking for a treatment program that meets your needs. 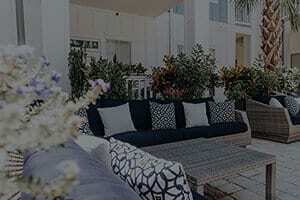 In doing so, you might want to look at a rehab in Florida like Beaches Recovery as a possible alternative to trying to get help in the same environment that gave rise to your addiction. When an area gains a positive reputation in a particular industry, it’s interesting to see how the organizations within that area seem to take ownership and pride in that reputation. That certainly is the case in Florida, where quality rehab facilities like Beaches Recovery in Jacksonville consistently exceed expectations when it comes to treating patients and having those patients go on to lasting recovery. Aside from getting the opportunity to visit a place where the weather and atmosphere are near perfect year round, there are other advantages to seeking treatment in a rehab in Florida. You receive treatment in a community that caters to patients struggling with addiction and you’re able to set aside the daily responsibilities of home for a while and focus on the task at hand — recovery from your addiction. 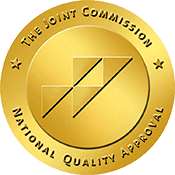 We’re JCAHO accredited and accepts most forms of private insurance. Millions of recovering patients can’t be wrong. Florida has earned its reputation as a top rehab destination by getting positive results. If you need help and want the best chance for a lasting recovery, you owe it to yourself to contact one of our experienced counselors here at Beaches Recovery. Call 866.605.0532 to verify your insurance or learn more about our programs.